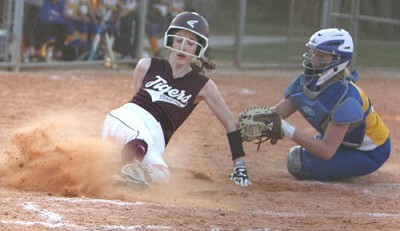 Emily Gerber scores a Tiger run, sliding safely on a late tag during softball scrimmage action in Florida. 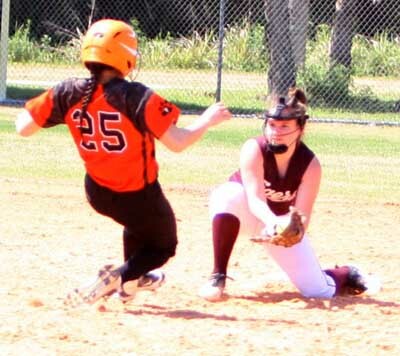 Shotstop Jordan Schindler makes the snag and tag at second base during softball scrimmage action in Florida. Two All-Section 1AA players, four HVL All-Conference players, six starters and 11 returning letterwinners are back to improve the Stewartville softball team's 6-9 record in 2018. Last year's losing record was the first in two decades of Tiger softball.